In celebration of Ada Lovelace Day, we’ve compiled a short list of some women in robotics that everyone should know about. There are so many many more that we’re already looking forward to featuring them next year. But first, simply creating this post has reopened many arguments about gender and technology and whether we even need to say that there are women who are brilliant at engineering. From Hypatia to Grace Hopper, there have been amazing women who have fought against massive prejudice to carve themselves out a name in the fields of science, engineering, mathematics and technology. These comparatively few women however can easily be lost from the pages of history and to create a more equal ongoing presence of women in technology, we need to show strong female role models. Ada Lovelace was the world’s first computer programmer and in spite of her undoubted mathematical brilliance, she was reluctant to publish herself and made do with publishing ‘commentaries’ on the works of others. Her commentaries were far longer and more original than the originals and in the process she demonstrated the future applications for the universal computing machine that Charles Babbage proposed but never built. 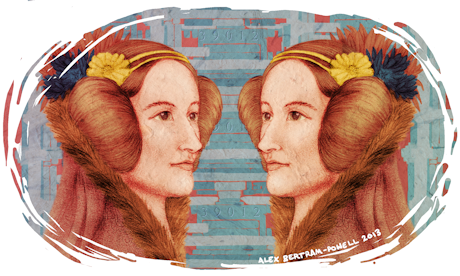 Now in its fourth year, Ada Lovelace Day is about sharing stories of women in science, technology, engineering and math who have inspired you to become who you are today. The aim is to create new role models for girls and women in these male-dominated fields by raising the profile of other women in STEM. Professionally, the women on our list are all field leaders with a huge impact on robotics, regardless of their gender. So if you need women for your board of directors, or conference panel etc. then you may need to look deeper, because these women are already super busy. But while there are an increasing number of women in robotics, there is nothing like equal representation so – here are 25 reasons why that should change. Please share. Many thanks to Robohub contributors for all their great suggestions! 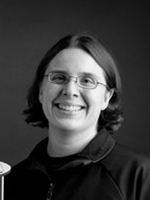 Sarah Bergbreiter packs impressive capabilities in tiny mobile robots. Her millimeter sized jumpers can overcome obstacles 80x their height, which is a record for the field. By tackling locomotion, power, actuation and fabrication at these small scales she hopes to develop technologies that could advance medicine, consumer electronics, and science. Aude Billiard makes strides towards building robots that can interact with, learn from and help humans. Her work has been used for children with autism and has pushed the frontiers of machine learning. 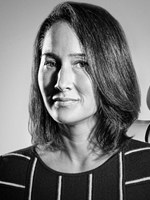 Cynthia Breazeal is a leading expert in creating personal robots that interact with humans in a natural way. She has developed some of the world’s most famous robotic creatures ranging from small hexapod robots to highly expressive humanoid robots and robot characters. 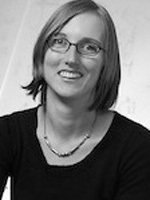 Her recent work investigates the use of social robots to improve quality of life. Elizabeth Croft studies how interactions with robots can be designed to naturally adapt to what their non-expert human users want them to do. 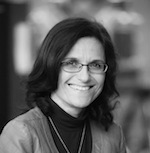 Her work in human-robot interactions is highly interdisciplinary and taps into expertise in computer science, psychology, health and biological sciences. Missy Cummings is a mathematician, space systems engineer and one of the Navy’s first female fighter pilots. She is currently teaching aeronautics and astronautics at MIT and researches autonomous vehicles, human-robot interaction and ethics. 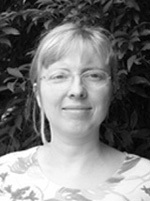 Kerstin Dautenhahn received her Ph.D. degree from the Biological Cybernetics Department of the University of Bielefeld, Bielefeld, Germany, in 1993. She has published more than 300 research articles on social robotics, human-robot interaction, assistive technology and Artificial Life. University of Hertfordshire Professor Computer Science | Director Adaptive Systems Research Group. 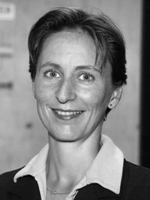 Helen Greiner is a co-founder of iRobot and currently CEO of CyPhyWorks. iRobot was the world’s first commercially successful consumer robotics product. She has degrees in mechanical engineering and computer science as well as being one of the ‘entrepreneurs and innovators of the 21st century’. Heather Knight runs Marilyn Monrobot Labs in NYC creating robot performances and sensor based art. She is also founder of the Robot Film Festival and Cyborg Cabaret and a PhD student at CMU. 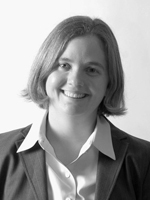 Heather was on the 2011 Forbes List for 30 under 30 in Science. Her work also includes: robotics and instrumentation at NASA’s Jet Propulsion Laboratory, interactive installations with Syyn Labs, field applications and sensor design at Aldebaran Robotics, and she is an alumnus from the Personal Robots Group at the MIT Media Lab. Kaori Kuribayashi-Shigetomi uses living cells to power and actuate 3D robotic structures at the micro scale. Such structures could be useful for tissue engineering or 3D assembly at the microscale. Maja Matarić makes robots that help people. Her research in human-robot interactions and desire to solve real-world problems has lead her to design robots that can provide personalized assistance in convalescence, rehabilitation, skill training, and education. Arianna Menciassi designs micro- and nano-robots that can be used in biomedical applications. Examples include active endoscopic capsules or novel cell-based actuators. Robin Murphy pioneered rescue robotics with aerial and ground robots used in disasters such as the World Trade Center disaster, Hurricanes Katrina and Charley, and the Crandall Canyon Utah mine collapse. 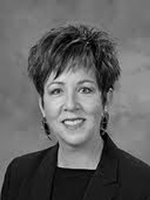 She is currently leading an initiative in emergency informatics, which stems in part from witnessing valuable data from robots not reaching the right decision maker. 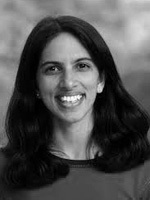 Radhika Nagpal studies self-organized multi-agent systems in nature and robotics. She takes inspiration from ants, termites and cellular systems to design robot swarms that can build complex structures, assemble into any shape or help pollinate fields. She also investigates models of self-organization in biology, specifically how cells and insects cooperate to achieve complex tasks. 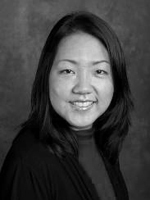 Allison Okamura runs the Collaborative Haptics and Robotics in Medicine lab [CHARM] at Stanford, where she supervises research in haptics, teleoperation and virtual robotics. This work has applications in medicine, rehabilitation, education and user interfaces. 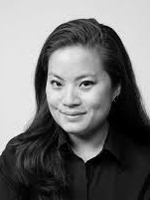 Jamie Paik is the founder and director of Reconfigurable Robotics Lab (RRL) of Swiss Federal Institute of Technology (EPFL) and a member of Swiss NCCR robotics group. RRL focuses on leveraging expertise in multi-material fabrication and smart material actuations. Her latest robots include self-morphing Robogami (robotic orgami) that transforms its planar shape to 2D or 3D by folding in predefined patterns and sequences, just like the paper art, origami. 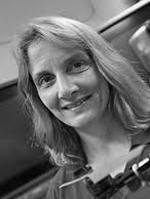 Lynne Parker is a leader in the field of distributed multi-robot systems. Her many-robot systems have helped explore mobile robot cooperation, human-robot cooperation, sensor networks, robotic learning, intelligent agent architectures, and robot navigation. 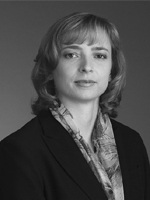 Daniela Rus is director of one of the most renowned laboratories in artificial intelligence and robotics in the world (CSAIL). At the distributed robotics laboratory she designs robots at all scales, soft and hard, that can self/dis-assemble, fold, fly and distribute to advance the frontiers of robotics. 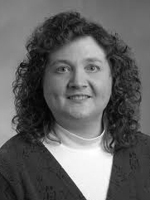 Angela Schoellig specializes in iterative/cooperative learning and data-based control for dynamic systems. Recent applications include learning fast dynamics and shared tasks for multiple UAVs. You probably saw her quadrotors dance solo or as a multi-robot ballet. 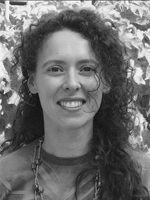 Leila Takayama is a researcher with a background in Cognitive Science, Psychology, and Human-Computer Interaction. Her current focus is understanding human encounters with robots in terms of how they perceive, understand, feel about, and interact with robots. She was named one of the Tech Review’s 35 innovators under 35 as well as one of Fast Company’s 100 most creative people in business. 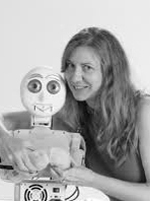 Andrea Thomaz explores human robot interactions with Simon, her expressive humanoid robot. She has been a driving force in making robots that can learn through social interactions, an essential feat to make robots a part of our daily lives. 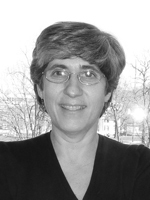 Manuela Veloso is the mother of robot soccer. For years, her laboratory has been championing the Robocup competitions while exploring important questions in multi-robot control. She is currently working towards creating service robots that work symbiotically with humans. 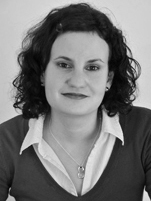 Astrid Weiss is a research fellow in HRI at the Vision4Robotics group. 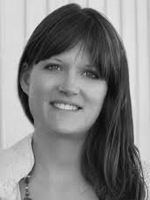 She focuses on Human-Robot Cooperation, Theory of Mind and user centered design, with an interest in the impact technology has on our everyday life and what makes people accept or reject technology. 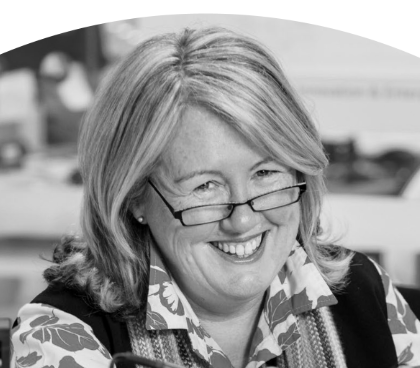 Mary-Anne Williams is the director of the Innovation and Enterprise Research Lab at UTS, Sydney. 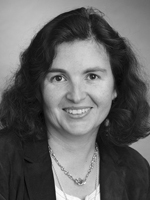 Her work includes social robotics, robot ethics and law, robotics soccer competitions, artificial intelligence, knowledge mapping and cognitive models of decision making. One of the first hires at Willow Garage, Melonee Wise has been deeply involved in the development of the PR2 and the Turtlebots. Now she is leading her own company, Unbounded Robotics, in the development of a mobile manipulating robot platform. 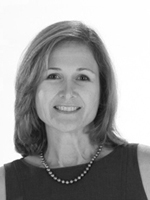 With 24 years of experience in business, Amy Villeneuve has been instrumental in the rise of one of the most praised companies in robotics, Kiva Systems. Their acquisition by Amazon a few years ago at 775 million dollars made mainstream realize that robotics startups are the next big thing. 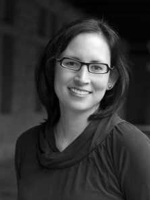 At Kiva she is responsible for end-to-end customer engagement process, from sales and solution design through manufacturing, deployment and ongoing customer support.